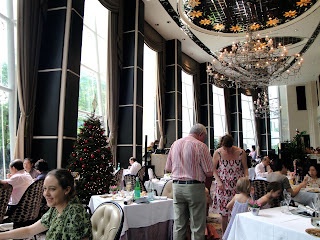 I celebrated Christmas Day by having brunch at the very swanky Brasserie Les Saveurs at St. Regis Hotel in Tanglin Road. 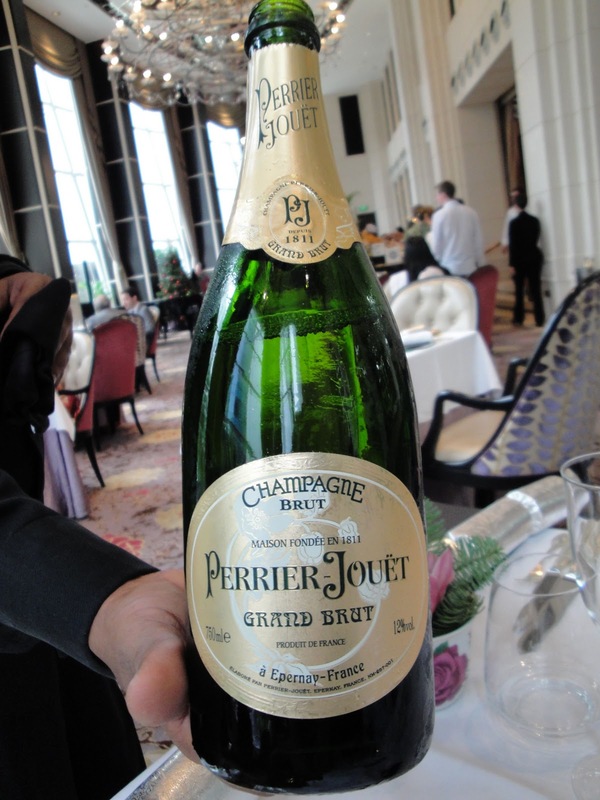 I have read great reviews about their champagne brunches and hence booked myself a table as early as 2 months back in preparation for Christmas. I absolutely fell in love with the interior of the place. It had a very warm yet classy feel to the ambience. Check out the photo below taken from our table. Our table all had the Champagne Brunch with free flowing Perrier-Jouet Grand Brut (SGD 188). They also had a Non-Alcoholic Brunch (SGD 158) available, but since it's holiday season, there's absolutely no excuse to refuse getting tipsy in the afternoon. 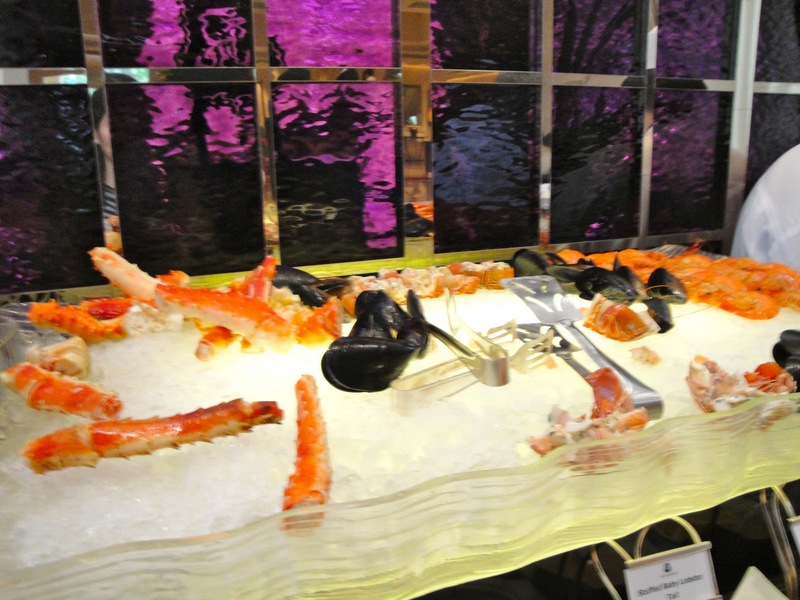 The brunch comes with a Seafood on Ice Buffet. The variety of fresh seafood was absolutely breath taking. 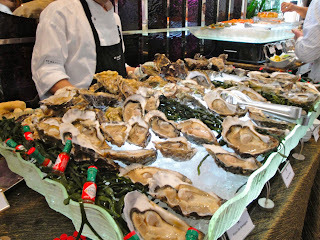 I loved the oysters. lobster tail, and abalone. 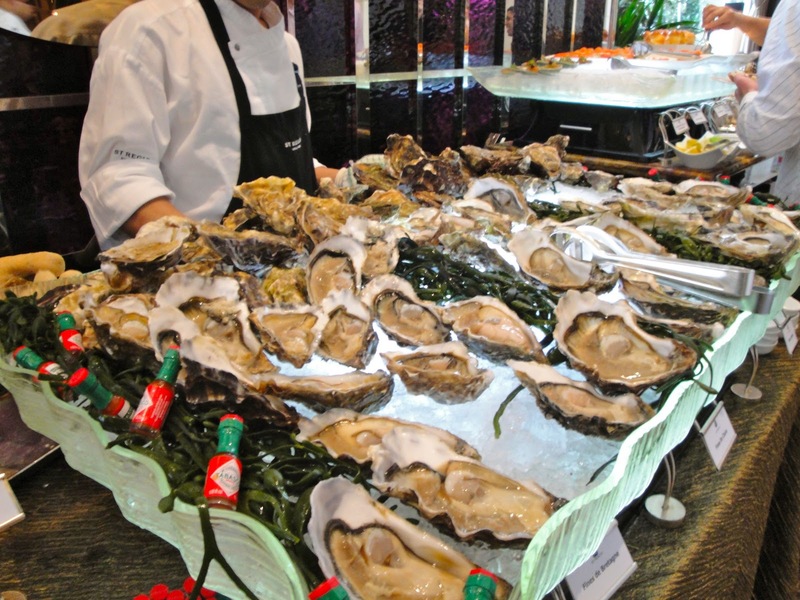 The seafood were all fresh, fresh, fresh. This seafood buffet already made this trip worthwhile! There were also several Passed Around Appetizers which were offered by the chef on each table. I was only able to take a photograph of 2 of the appetizers. 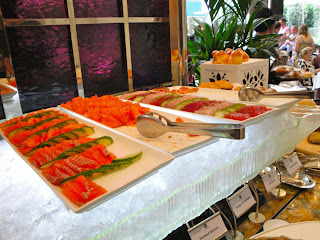 There were some hits and misses with the appetizers but overall they had very delectable choices. And I do enjoy the novelty of having someone come over your table to offer a bite size dish. 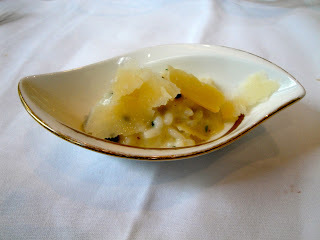 The rest of the entrees were served as part of a degustation menu. The first of the degustation menu was L'Oeuf au Caviar, which is egg with French caviar served with finger toast. The presentation was very pretty. 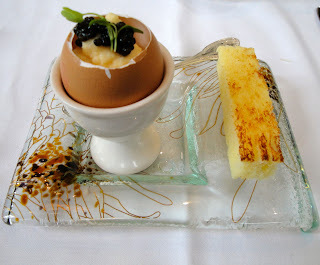 Taste wise, it was nice and light -- like a fancy scrambled egg seasoned or salted with the caviar. Next up was Le Foie Gras. 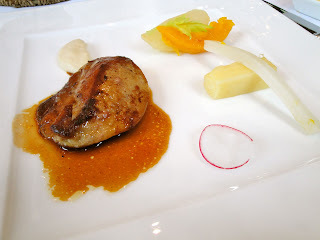 The foie gras was served with a pumpkin puree and root vegetables on the side. I thought the foie gras could have used more salt and searing as the outer layer was still a bit soft in my opinion. Foie gras of course is still foie gras, so still a very enjoyable dish. 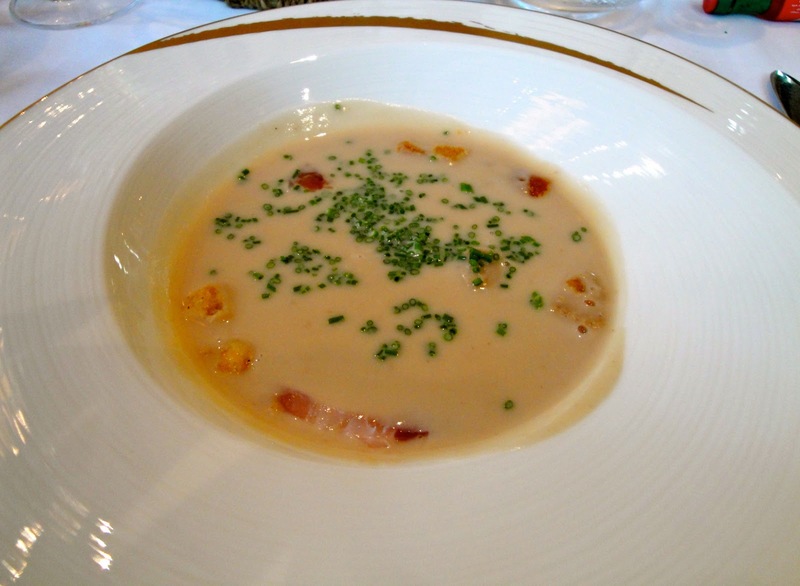 The soup served was Le Marron, made of chestnut, pancetta, croutons, and chives. 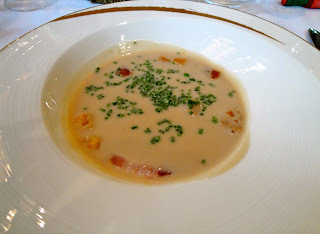 This was a very nice and creamy savory soup without the heaviness. Finished this up in a few gulps. 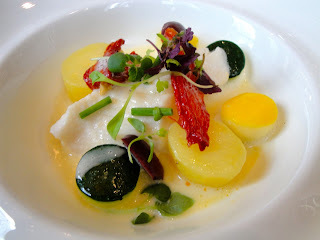 Le Saint Pierre was a poached dory with zucchini and tomatoes. 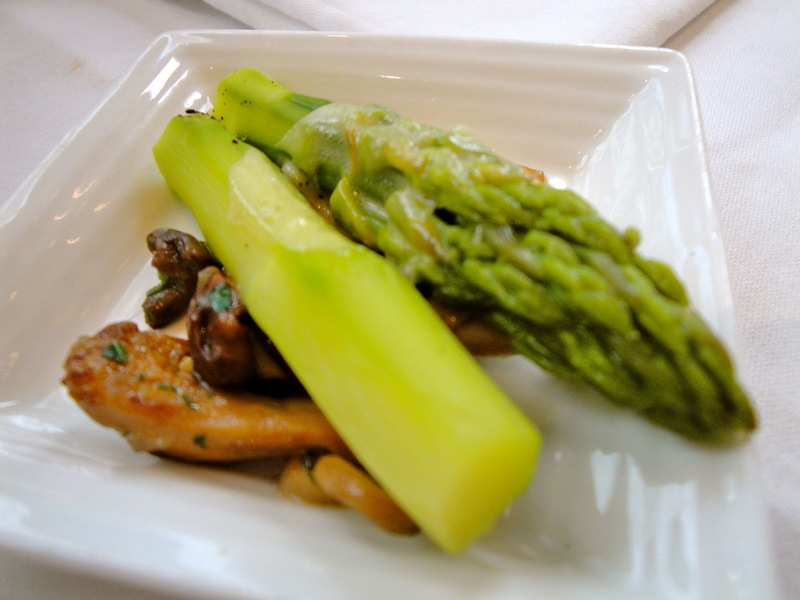 The colors on the plate were beautiful, though taste wise I thought this was the most forgettable dish of the menu. The main course was La Viande, where you have a choice of Turkey, Lamb or Beef served with vegetables and winter black truffle. I had the Turkey, though at this point I was so full that I could not enjoy this anymore. So I will not comment any further on the taste as I was too full to really savor this dish. No matter how unbelievably full I get, I always have room for dessert. 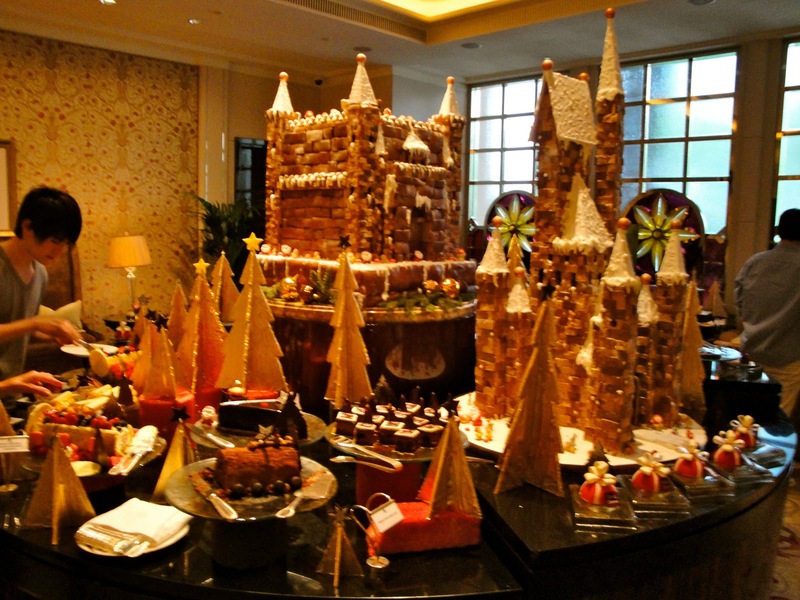 And boy did the Dessert Buffet look absolutely appetizing! The whole table looked like sugar wonderland, enough to make a child (or adult) giddy with excitement. I wanted to try out each and every single dessert, but unfortunately my stomach capacity would not allow me to do so. 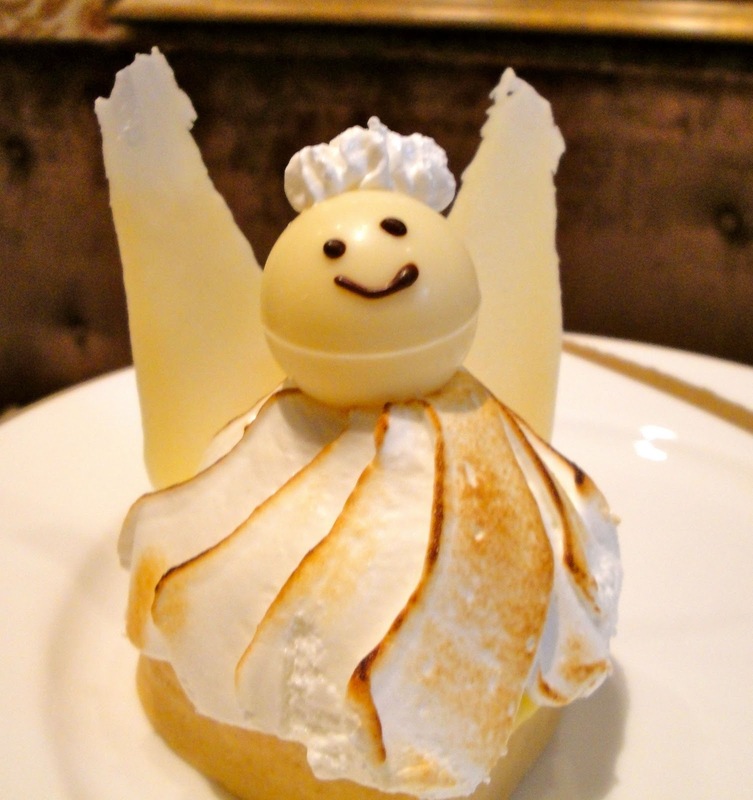 I had a try of the Lemon Meringue Angel and the Chocolate Souffle. The Lemon Meringue had black berries in the center which added more depth to the dessert. 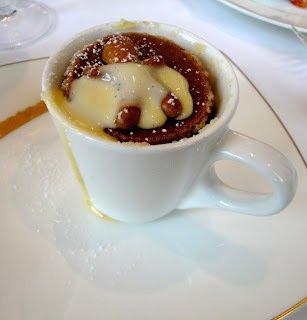 The Chocolate Souffle was really delicious -- it had cinnamon and nutmeg to add a festive twist to this divine dish. 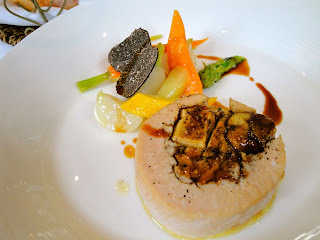 I was very happy with our visit to Brasserie Les Saveurs this Christmas. The brunch was on the pricey side, but the quality of the food (especially the seafood and dessert buffet) were more than enough to compensate for the price. 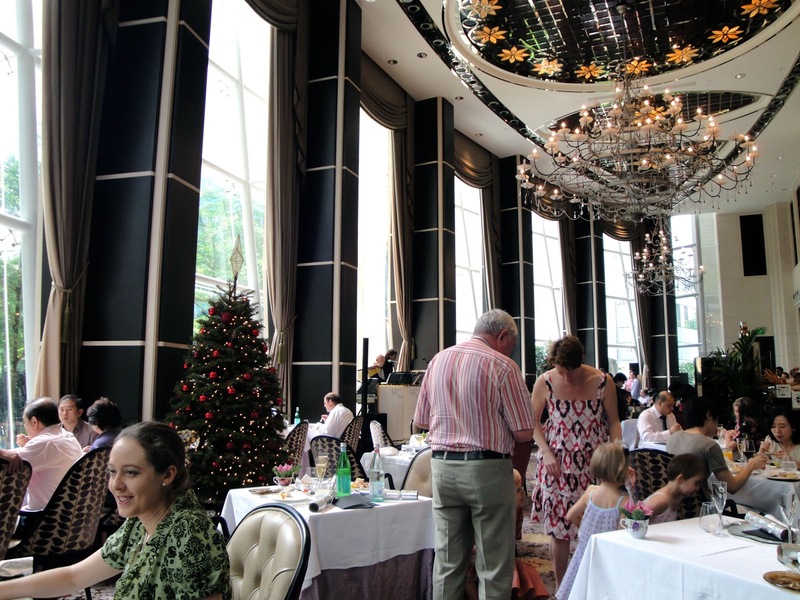 If I find myself spending Christmas in Singapore again next year, I will definitely be eating Christmas Day brunch here again.